Last Saturday’s draw was the first time we could visibly see the new Powerball rules in action. While they were implemented in time for the 7 October draw, that draw’s winning numbers were within the old range. So if you were caught by surprise when the 10 October winning numbers — 12, 27, 29, 43, 68(!) and Powerball 1 — were called, here’s a recap of the new Powerball rules. The times are a-changing… and so are the ranges! Both the main numbers and the Powerball guess ranges have been changed dramatically. The main number range has increased from 1-59 to 1-69, while the Powerball guess range has decreased from 1-35 to 1-26. Due to the guess range changes, the odds of winning the Powerball jackpot has decreased to 1:292,201,338. Because of this, the Multi-State Lottery Association — Powerball’s operator — expects jackpots to rise higher, faster. There is even talk about a $1 billion jackpot in the near-future! 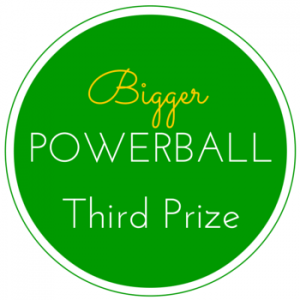 To win the third prize division, a ticket must match four main numbers and the Powerball. Prior to last week’s changes, the cash payout for third place was $10,000. Now if you match 4+PB, you’ll win an incredible $50,000! And with another rule change, there’s a possibility that your $50,000 prize could turn into a $500,000 prize! The Power Play is an optional add-on, which can be purchased along with the lottery ticket. Previously, the Power Play multiplied the second prize division by 2x and all other secondary divisions by 2-5x, depending on the draw. Now a new 10x Power Play option has been added. When jackpots are $150 million and lower, the third to ninth prize divisions will now be multiplied by 2, 3, 4, 5 or 10 times. 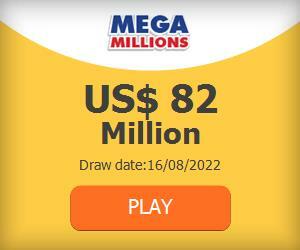 When the jackpot is higher than $150 million, the 10x option will be unavailable. The second prize division will remain at 2x regardless of the draw’s Power Play number or jackpot. Thus you have the possibility of winning half a million dollars by only getting third place! You don’t have to live in the States to benefit from the new Powerball rules! Play Powerball online from anywhere in the world!